Home FEATURES How much does a banana cost? (Updated) Have you eaten your dose of the nutritious banana lately? How much does a kilo cost in your local market? In Metro Manila markets, the Philippine Statistics Authority’s (PSA) price monitoring of basic commodities listed the cost of a kilo of Banana (Lacatan) at P40 at the lowest, P70 at the highest while P60 is the prevailing price for retail. Meanwhile, exported bananas from the Philippines are sold by Lapanday Food Corporation (LFC) at $14 (P698) to $24 (P1,196) per box which contains 13.5 kilograms of bananas or around P52 to P89 per kilo. According to PSA’s 2016 ‘Selected Statistics on Agriculture’, the volume of fresh banana exported in 2015 amounted to 1.8 million metric tons and valued at $657.87 million. 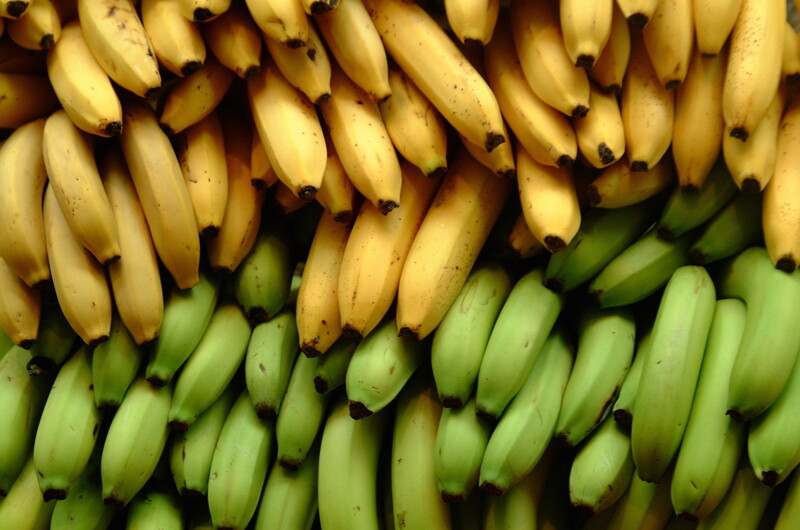 Next to coconut oil, fresh bananas are the top crop exported from the Philippines. Major markets for fresh banana exports are Japan (42%) and China (24%). But did you know that bananas are bought way cheaper from the producers? In Mindanao, where LFC controls 6,000 hectares of banana plantation, the company buys banana (Cavendish or Lacatan) from cooperatives at $0.80 per box (containing 13.5 kilos) for ‘Class B’ bananas according to banana growers in Tagum City where one of its banana plantations are located. That’s roughly P40 per box or P2.96 per kilo. According to Artemio Serot, a former member of the Hijo Employees Agrarian Reform Beneficiaries Cooperative 1 (HEARBCO 1) and now member of the Madaum Agrarian Reform Beneficiaries Association, Inc. (MARBAI), aside from the very cheap bananas they sell to LFC, the company swindles them by repacking ‘Class B’ bananas to ‘Class A.’ The banana plantation cooperatives sell the Class A bananas at $2.10 (P104.67) per box or roughly P8 per kilo. Those categorized as Class C bananas, meanwhile, are considered “reject” and the cooperative describe these bananas “for throwing away.” They shared that these Class C bananas coming from Lapanday, however, were the ones sold in town public markets. LFC’s gross income per box would amount to $13.2 (P659) up to $23.2 (P1,158). That’s almost 100 times more than what the workers/cooperative earned when they sold their bananas. (Updated) How much Lapanday buys and sell bananas. On top of the cheap price of banana, the cooperative is charged with all the farm inputs and other production costs in the plantation leaving members of the cooperative buried in millions of debts. In LFC’s website, they claim to yield 20 million boxes of bananas annually. LFC exports bananas to Japan, Hongkong, China, Singapore, South Korea, Indonesia, New Zealand, United Arab Emirates, Saudi Arabia, Qatar, Kuwait, Oman, Russia and Egypt. LFC is owned by the Lorenzo family. Martin Lorenzo of the said family is also part-owner of Central Azucarera de Tarlac in the controversial Hacienda Luisita sugar estate. In 2011, MARBAI members who were former members of HEARBCO 1, were forcibly removed from the plantation when they challenged the Agribusiness Venture Agreement (AVA) which put the cooperative in a disadvantaged. Meanwhile, members of MARBAI who are agrarian reform beneficiaries to a 145-hectare banana plantation, which is part of the San Isidro farm in Tagum City, are now in Manila to insist their right to be reinstalled in the land controlled by the LFC. On April 21, the Department of Agrarian Reform (DAR) was unable to reinstall the agrarian reform beneficiaries despite the Writ of Order issued by DAR Secretary Rafael Mariano due to the failure of the police to provide assistance and disarm the alleged 700 armed security guards inside the plantation. On December 12, 2016, MARBAI members were peppered with bullets where seven were wounded when they attempted to enter the plantation to implement DAR’s decision that they should be reinstated.